Dubai-based Emaar Properties, the region’s largest real estate development company, today revealed that property sales in the first quarter of this year fell by 79.65 per cent compared with the same period last year, pushing the company’s net profits down 45 per cent. According to the company’s financial statement posted on the Dubai bourse website on Sunday, apartment sales for the quarter plunged over 81 per cent while villa sales were down almost 50 per cent compared to the same quarter of 2010. 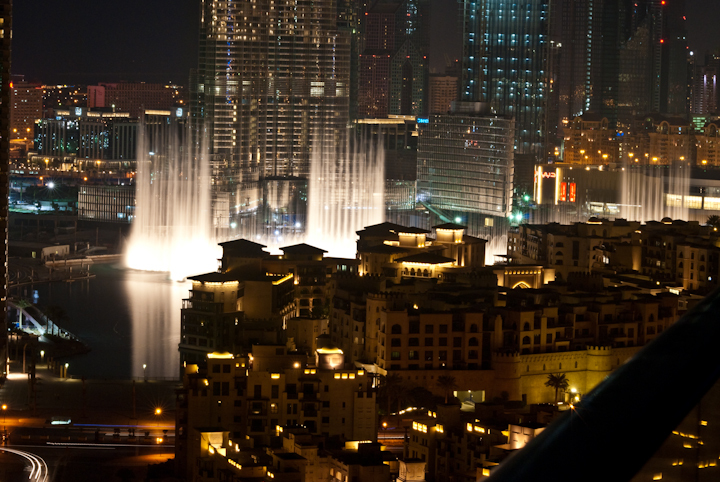 Emaar’s Q1 profits fell from Dh760.6m in 2010 to Dh420.6m in 2011, while the company’s revenues for the period fell by more than 31 per cent, from Dh2.89b in Q1 2010 to Dh1.98b in the latest quarter. While Emaar’s profits from its hospitality division surged by 275 per cent and profits at its leasing unit held relatively steady (down 2.2 per cent), the property major’s profits were impacted by a slump in its profits from its real estate division, which fell by more than 66 per cent to Dh164m, down from Dh489m in the same quarter last year. Despite its recent steps to achieve geographic diversity, the company’s revenues remain heavily reliant on the UAE market, with the country accounting for about 79 per cent of its overall revenues of Dh1.98b in Q1 2011, though they are down from over 96 per cent of the total Dh2.89b of the company’s revenues in the same quarter last year. Emaar, the company behind the world’s tallest tower – the Burj Khalifa – recently announced that it was creating a core management team to develop a new growth strategy following social and political upheaval in the region. Emaar has been badly hit by the emirate’s property collapse and its Chairman Mohamed Alabbar had said in a statement last week that it would focus on “strengthening the resilience of the organisation in the wake of recent social, political and economic changes in its regional and global markets”. The team will also work on “establishing a sustainable business model for the future and identifying and capitalising on the growth opportunities”, the statement said. The team will also focus on “creating a robust organisational and corporate governance framework that resonates with new market realities”, the statement said. It is reported that Emaar’s strategic review of its foreign operations may lead to a greater focus on its hospitality and retail resort business.